Growing up with a big brother wasn't always fun. But being a grown up with a big brother is pretty awesome! One of the things we share is a love of words. 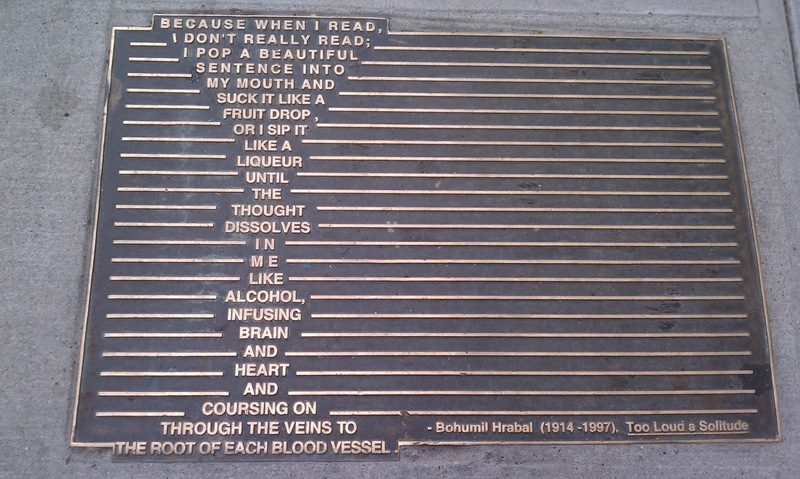 My brother has taken to sending me cellphone pics of words he finds around New York City. "On the death of Yeats in 1939, Auden wrote that, when he dies, the poet becomes his admirers. That is what has now happened to Reznikoff. He is no longer driven by the compulsion to create. It is not up to him now; it is up to those who are left behind and who think that they may have deciphered something of the meaning which he strove faithfully to create." Today's Poetry Friday round up is hosted by Jama at Jama's Alphabet Soup. I took my class to NYC a couple of years ago, and we searched for poems and words all over and made a collection; I'm glad you reminded me about them. Those questioning poems are interesting to read and to ponder, this time especially if you've been on the subway for any length of time. Haven't had a chance to visit New York yet - but seeing these photos makes me think I should find a conference right around that area to give me the perfect excuse to come visit. How wonderful to have a brother who loves words as much as you do. I'm envious. I've always wanted an older brother (I'm an only child). :) This is a lovely post. I shall repost in my G+ and FB - love love the photos. Thank you for sharing. I agree with that quotation from Charles Reznikoff's biography -- we should make him better known. 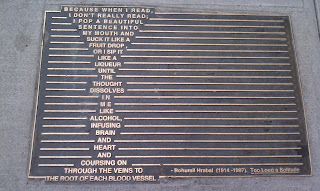 I love finding poetry on city buses and subways. It restores my faith and admiration in people, that so many really seek and share it out. So cool to have your brother send you photos of them! A good practice to spread! How wonderful to find poetry nuggets around corners and in subways! It's not that likely to happen in rural areas. I'll keep an eye out when I'm city-bound. Nice to have an interest to share with your brother! What a nice gift to get from your brother! And Maria's poem is a treat, too. 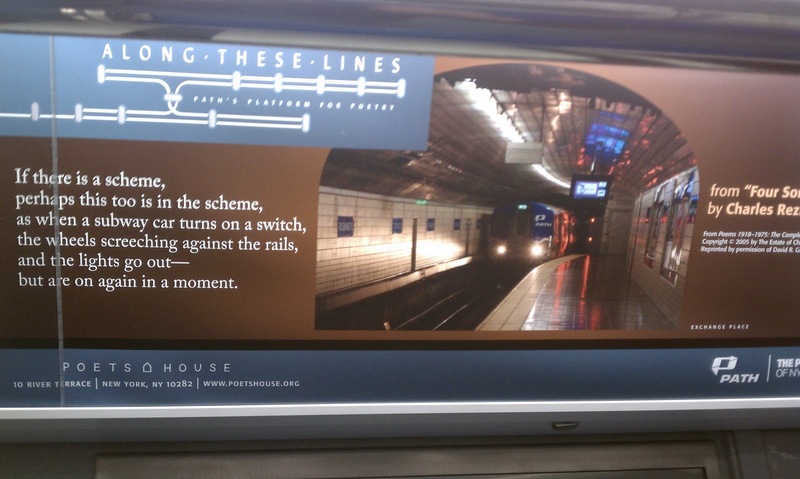 Poems make great presents -- I guess public poems are shared presents. A little late to post but you knew I would love this idea. What a great activity to have students search for words with their cameras, iPods, iPhones, etc and bring them to class. Once again you have me thinking. Thanks!!! I absolutely love this blog. I posted it as one of my go-to resources the I follow for finding great book ideas for my classroom library. Thank you so much for all of your wonderful reviews!